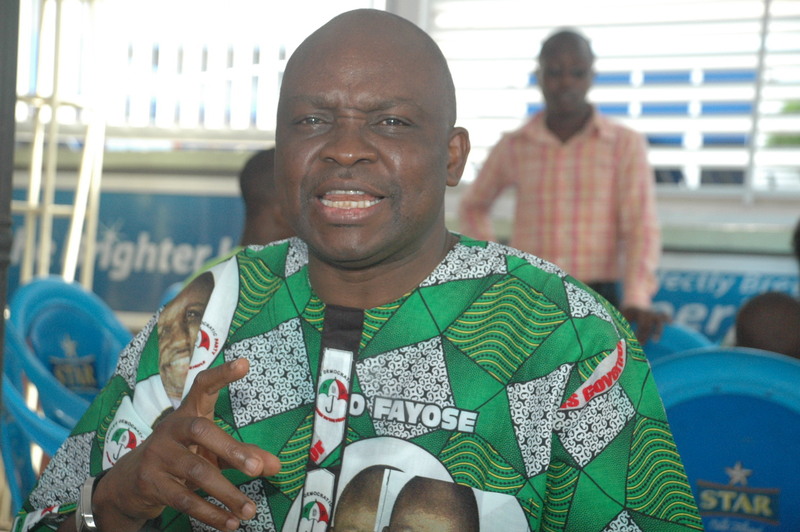 By Rotimi Ojomoyela Ado-Ekiti-The personal account of the Governor of Ekiti State, Mr Ayodele Fayose and that of his associates have been frozen by the Economic and Financial Crimes Commission(EFCC). Speaking at the premises of Zenith Bank, Ado-Ekiti, where he had his personal account, the governor claimed that he had gotten winds of plans by the Presidency to freeze his account some days earlier. A source at the Bank told the visibly surprised Governor Fayose that his account was allegedly frozen on the order of the anti-graft agency. The Governor said, he had earlier issued a counter-cheque to make withdrawal and was rejected by the bank located at Onigari , GRA in Ado Ekiti, describing the action as criminal and illegal. Citing Section 308 of the 1999 constitution, Fayose said he enjoys immunity as a sitting governor , urging the federal government to fight corruption within the ambit of the law.